What the Heck Happened to Optimus Prime? I seem to be running across a lot of videos these days. The first week of the month is barely over, and I have spent more time watching all sorts of videos than I have in months. Perhaps the Year of the Rabbit is bringing out the creativity in more people, but whatever the reason, I wish that this particular video portrayed Optimus Prime in a better light. 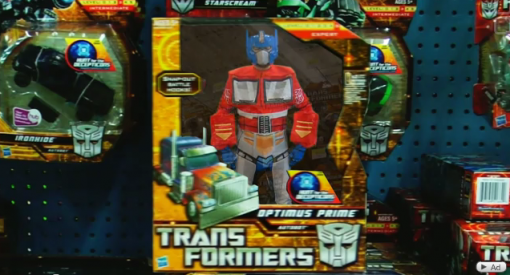 Everyone’s favorite Autobot – well maybe not everyone – just got downgraded to a dancing guy clothed in tons of padding. Don’t get me wrong. I am pretty sure that a lot of people will disagree with me – the “Likes” and comments on Facebook and YouTube will attest to that – but I just don’t get it! Before I watched the video, I had a totally open mind. A parody of “The Time” by The Black Eyed Peas – how can you go wrong? See what I mean? Optimus Prime is too dignified a character to be portrayed like that, isn’t he? Or am I being stuck up? Then there is the girl. The girl. She is hot – no one can deny that, but sorry, I still don’t get it. Am I missing something here? If, unlike me, you found the video cool, you can see more from Angie and Chad – no offense guys, just airing out my thoughts – in their Facebook page.